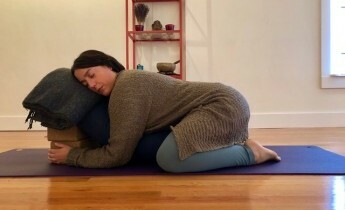 In this gentle and restorative workshop, students will be given the space and support to slow down and receive the nourishing and therapeutic benefits of rest. Students will be led through a sequence of restorative postures meant to support and relax the body so that the breath may move with ease. There will be an abundance of prop use, gentle hands on assists, and the support of essential oils.